The official opening of V4 Woodflooring’s new midlands distribution and trade centre took place on 4th June, marking another milestone in the company’s history as the popularity of V4’s wood floor products and services continues to grow across all corners of the UK. The opening of the centre in Castle Donington now enables V4 to facilitate an even better service for its retailers and customers in the Midlands and North, located in an ideal location for the great transport links. Invited guests were joined by Chairman of Castle Donington Parish Council, Shaun Ambrose-Jones, for the ribbon cutting and official launch party at the site, where the new V4 fleet were also rolled out on what was a lovely sunny day. V4 has invested over £600,000 in the new warehouse and trade facility, and the centre will not only have a positive impact on V4’s service and speed of delivery, but also creates new job opportunities for the local community. V4 Woodflooring is leading the way in the UK for the supply of sustainable and high quality real wood floors. 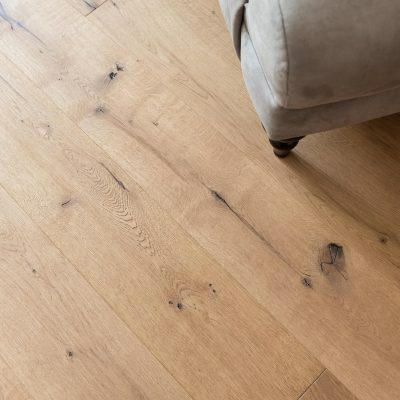 The current range has 50 stylish floors to choose from and this summer will see the launch of several new wood finishes into the range that reflect the most current interior design and wood floor trends.